If you're a subscriber to Amazon Prime, then you already have access to an unlimited photo storage service for no additional fee. 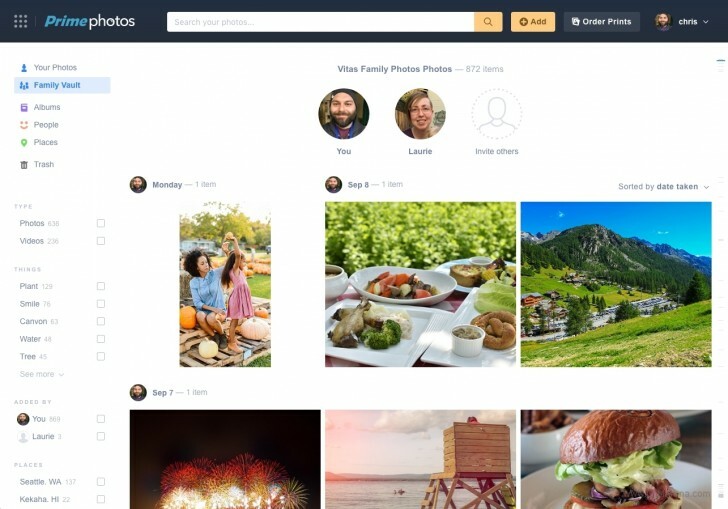 However, today Amazon has introduced a new feature for its Prime Photos service: it's called Family Vault. This allows you to share the benefits of your unlimited photo storage with up to five family members or friends, even if they aren't Prime subscribers themselves. On top of the unlimited photo storage, as before you also get 5GB of space for videos and other files, and this is shared between you and the people you invite to Family Vault too. The new feature is already live both on the Prime Photos website as well as within the eponymous mobile apps. Additionally, Prime subscribers can now order photo books, cards, and prints directly from their Prime Photos accounts. These aren't free, however, with prices starting at nine cents a print, with free shipping. Too bad Amazon have given up on their fire phones.